The most significant memorable event of 2018 is thanks to the ABC and my former partner Craig, whom was the personal catalyst for my Churchill Fellowship. The ABC investigated and ran prison related stories in the lead up to the Victorian State Election. Sarah Farnsworth, ABC reporter contacted me. Sarah said she had been ‘tasked with looking at justice policy and the “tough on crime” approach being adopted by both parties – but the one thing that is always lacking in these stories is people who have actually had firsthand experience of prison and their thoughts…on what works and what doesn’t’. Craig agreed to be the person with firsthand experience of prison interviewed and filmed by the ABC for the story. He was incredibly brave and fabulous in what he said. In the week beginning 5th November Sarah Farnsworth’s story was podcast and broadcast on ABC Melbourne radio; shown on the 7pm TV News and then online. You can read and listen to them below. Matters of State: Why is Victoria’s prison system failing? Victoria’s ‘madhouse’ prisons are expensive, but are they making the state more dangerous? James Oaten, ABC reporter then ran a subsequent ABC prison story he had been investigating that included post release aspects of Craig’s interview and my perspective. This was published on 12th November. My eternal gratitude and thanks go to Sarah, Craig and James, and the ABC. As the year 2018 draws to a close I am sharing two very memorable events. The first occurred in June 2018, when a Churchill Fellowship vision came to fruition. I met User Voice in London on the fifth day of my seven week Churchill Fellowship in 2015. Inspired beyond my wildest dream by the work of User Voice and founder and CEO, Mark Johnson, I have been advocating Australia adopt their model and start the peer led revolution ever since. Mark Johnson’s visit to Australia was made possible through philanthropic grants funding the Deakin University peer mentoring project I am coordinating and based on my Churchill Fellowship. Mark was accompanied on his whirlwind two weeks of activity by his co-founder Daniel Hutt, now living in Australia. We then shared time in Hobart, Tasmania for the Reintegration Puzzle Conference. Mark was a keynote speaker and I co presented on the Deakin University peer mentoring project with Marngoneet Correctional Centre General Manager, Wayne Harper. Mark Johnson’s final two days were in Geelong. Mark spoke to and with many interested, engaged and inspired prisoners and staff in Marngoneet Correctional Centre and then to over a hundred people in a packed lecture theatre at Deakin University’s Geelong Waterfront campus. Even more memorable were the stimulating and inspiring chats Mark, Dan and I had during the trip. It has given me further vision, resolve and drive to realise the peer led revolution in Australia. 3CR’s Doin Time broadcast 14th August, 2017, focusing on the lived experience of prison. Wonderful to be in the 3CR studio again with Marisa for the Doin Time show. 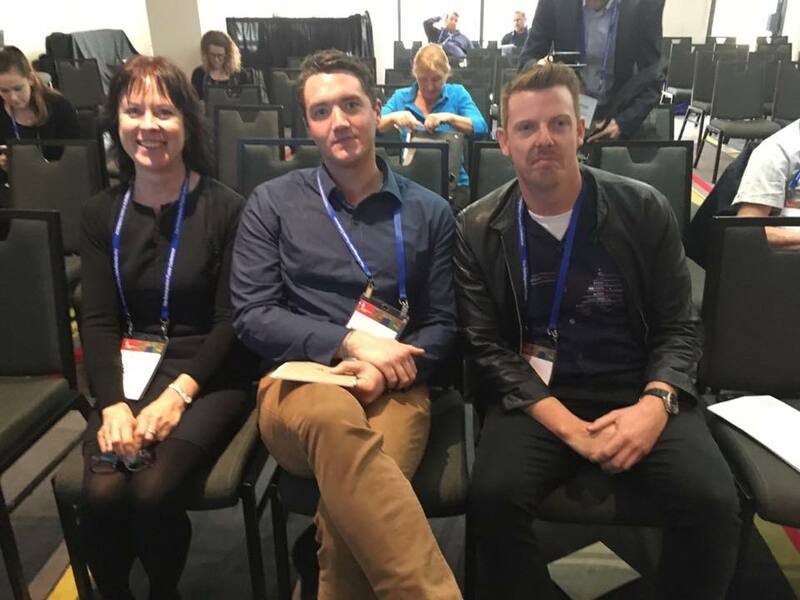 Marisa and I had a conversation about the lived experience of the criminal justice system with Keith Hinde and Nick Cernigoi from the Australian Red Cross. Keith Hinde is the Coordinator of the Red Cross Prison Support Program in Tasmania. Nicholas Cernigoi is a Project Officer in the Red Cross Prison Support Program. This program is a volunteer-led community development program that trains selected prisoners to become Peer Supporters in Risdon Prison. Nick is studying a Diploma of Community Services from TasTAFE, and has grounded experience in the Prison Support Program. We spoke about their innovative program, Nick’s experience of overcoming challenges in prison, my Churchill Fellowship report and the recent Reintegration Puzzle Conference. 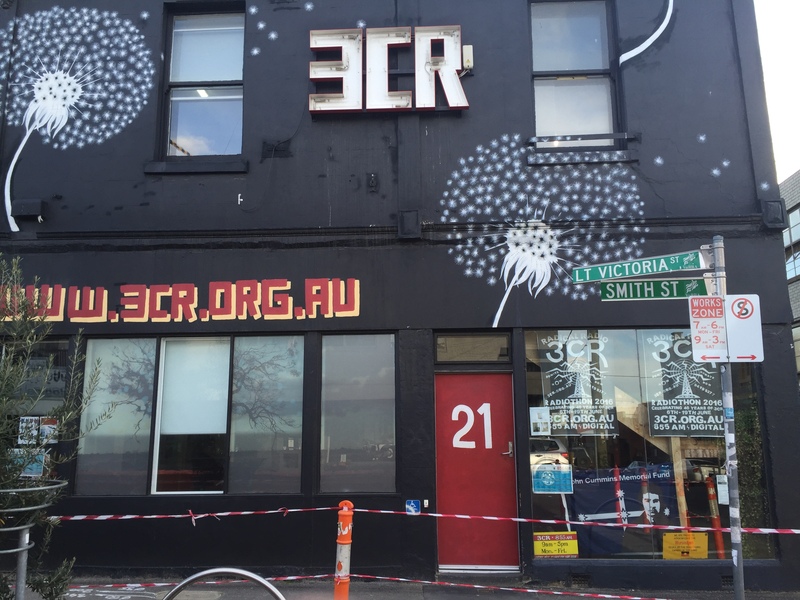 Listen to the 3CR Doin Time podcast to hear this interview. An innovative trial of peer mentor support for ex-prisoners to break the cycle of recidivism. Great news! My Churchill Fellowship research has now come to life in Australia! As we know, in overseas jurisdictions, ex-prisoners who have reformed contribute to reducing re-offending by mentoring newly released prisoners and advising on improvements to service systems that enable people to live a crime free life. Philanthropic trusts have granted Deakin University funds to develop and trial a peer-led mentoring program to break the cycle of crime and imprisonment in Geelong. This partnership project between Deakin University and Corrections Victoria will design and test a model of peer mentorship for the Australian context, based on my Churchill Fellowship research. Deakin University has appointed me the Project Coordinator. Many thanks to these Philanthropic Trusts, Deakin University and Corrections Victoria for enabling this to happen. Deakin University: To reduce the likelihood that a person will commit further crime and return to prison by providing them with a structured peer mentoring program upon release from prison. The peer-mentoring program will provide direct support and referral to a range of support services that support people who are disadvantaged. Deakin University: The role of Peer Mentors in breaking the cycle of crime and imprisonment in Geelong. To undertake a trial of peer led mentoring program for people leaving prison and returning to Geelong under the supervision of Community Correctional Services to test applicability in the Australian context. Deakin University: The Role of Peer Mentors in Breaking the Cycle of Crime and Imprisonment in Geelong. 3CR’s Doin Time broadcast 17th July 2017 focusing on the lived experience of prison. Wonderful to be in the 3CR studio again with Marisa for the Doin Time show. This broadcast had the lived experience theme. Marisa and I spoke with Linda Fisk, founder of Seeds of Affinity and a Radio Seeds broadcaster. Linda spoke about her story, the work of Seeds of Affinity and the Reintegration Puzzle conference. Listen to the 3CR Doin Time podcast to hear this interview along with the show’s other interviews. John Dowd, President of Community Justice Coalition spoke about the NSW Government not accepting the free offer of online counselling for prisoners in their cells. Lucy Honan from Refugee Action Collective (Vic) spoke about an upcoming event called ‘How Can We Break the Bipartisan Support for Offshore Processing?’ hosted by the Refugee Action Collective (Victoria).